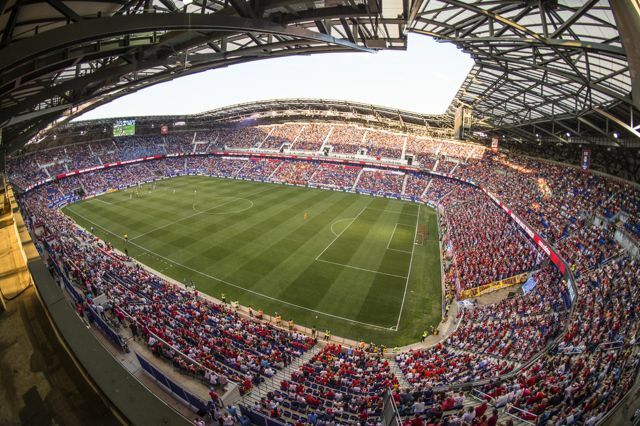 The New York Redbulls take on NYCFC at Red Bull Arena on Sunday night May 9, 2015 in Harrison, NJ. 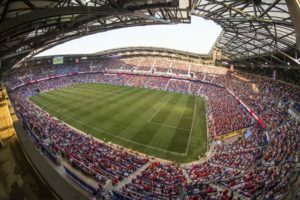 The New York Red Bulls have proven themselves very goal-oriented on the soccer pitch, so it was no surprise the team was equally methodical when they began a Wi-Fi upgrade in November 2016. Red Bull Arena is relatively new by sporting standards; it opened in 2010 on the banks of the Passaic River in New Jersey and seats 25,000. But the venue has never had fan-facing Wi-Fi. 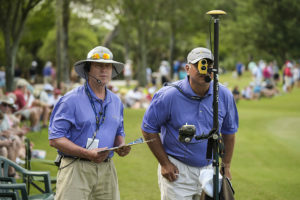 On the corporate side, the organization uses Aruba/Hewlett Packard for its wireless connectivity needs but keeps that network separate from fans. 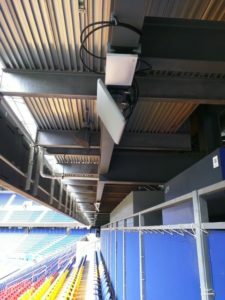 In tandem with the new Wi-Fi installation, the Red Bulls bought Cisco switches for the entire venue’s networking requirements, and layered on the Meraki wireless gear. The new network, including 172 APs, went live this past March, Katic added. 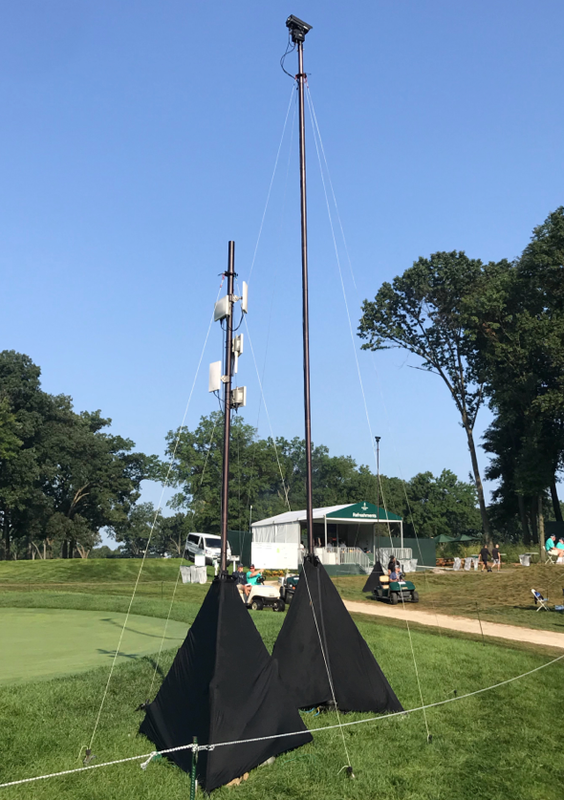 The Red Bulls partnered with Safari Telecom for the heavy lifting part of the technology upgrade. 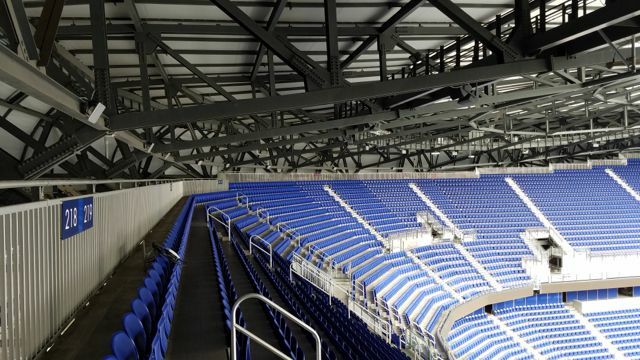 “One of our biggest challenges was the I-beams and side beams on the sections of the lower bowl,” Katic said. Safari custom-built clamps and anchors for mounting the APs, since drilling through the beams wasn’t an option. 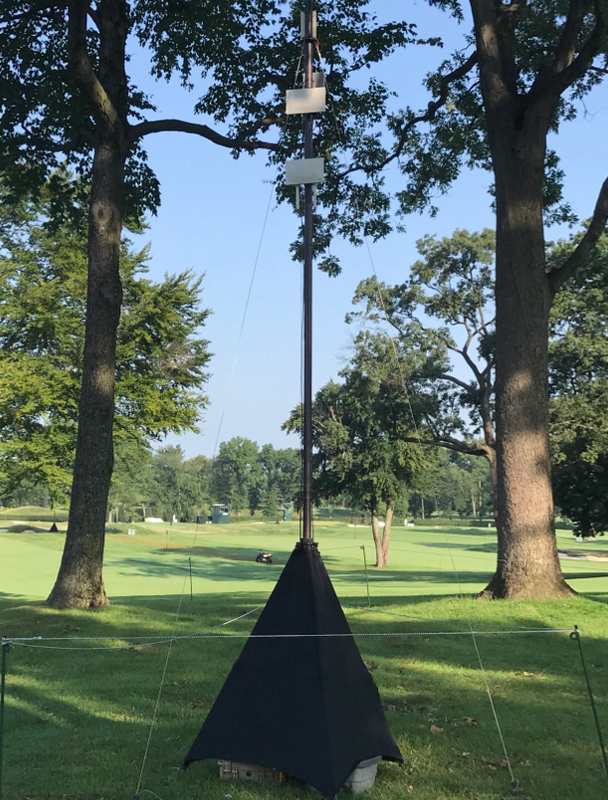 “Safari did a great job working in subzero temperatures during the offseason, mounting this stuff and getting it activated for our first event,” an international mini-tournament, not a Red Bulls game, he said. 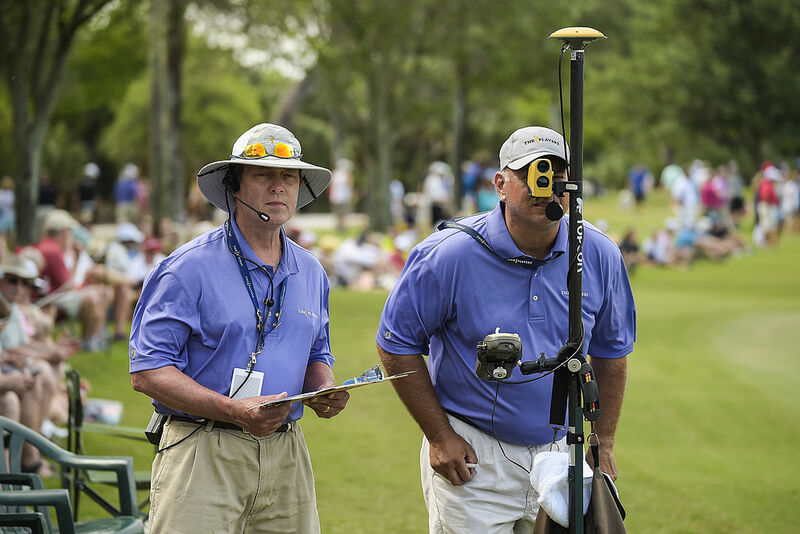 Editor’s note: This profile is an excerpt from our latest STADIUM TECH REPORT, our Summer 2017 issue that has in-depth profiles of network deployments at the Atlanta Braves’ new SunTrust Park, the Colorado Rockies’ Coors Field, and even a profile of a new Wi-Fi network for Westfield Century City Mall! DOWNLOAD YOUR FREE COPY of the report today! 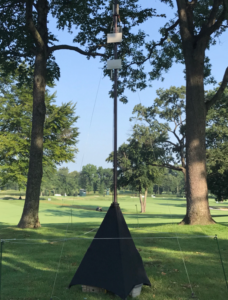 The Red Bulls are already taking advantage of the Wi-Fi system’s native applications – things like analytics; total data downloads and uploads; identification of device types used by patrons as well as the websites they visit. “Facebook seems to be the king here, but fans are also on YouTube, Snapchat and Twitter,” Katic said. More than two-thirds of fans — 68% — use iPhones. “That’s an interesting statistic, especially for the app, which will need to be optimized for the iPhone,” he added. So far, the highest number of connected users for a single game has been 3,200, with a peak rate of 2,400 simultaneous users. The arena’s Wi-Fi system is engineered with a take rate of 40 percent, and fans are getting upload and download speeds ranging from 40 to 80 Mbps during events, according to Katic. There’s no companion app at the moment, but that’s likely to change. “We’re looking at it, but MLS is going to be launching a league-wide app for all the teams,” Katic added. It’s another smart way to build and deepen connection with Red Bull fans. A good look at Wi-Fi deployments in the Red Bull Arena upper seating. Why wait until Wednesday? No whispering here, with the news breaking Sunday of Cisco’s $1.2 billion purchase of mesh-networking Wi-Fi provider Meraki. Coming on the heels of last week’s successful public offering by Ruckus Wireless, you’d have to say that Wi-Fi is the hottest topic in the greater tech world right now. And if you didn’t want to say it, we will. 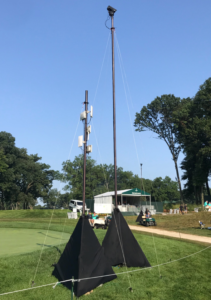 From a sports-specific viewpoint, it’s not clear how the Meraki purchase might help Cisco’s sports and entertainment group, since Meraki has reportedly had much more success in enterprise/campus deployments, where its easy setup and cloud-based management systems ease the process of deploying wireless networks. 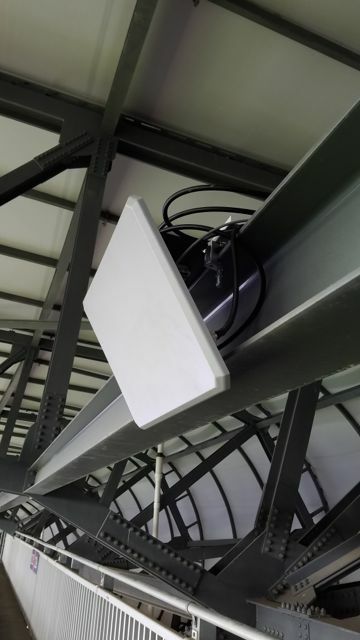 Since stadiums are a lot more high-touch — there are unusual RF problems caused by the buildings themselves, and the crowds of fans require fine-tuning of antenna directions — the Meraki gear may not be a big bonus, at least initially. 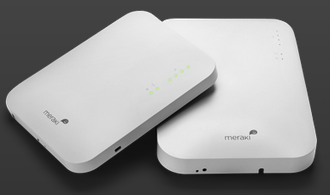 Though according to Meraki, its gear has handled big outdoor events quite well, including the Monterey Jazz Festival. So maybe Meraki will help Cisco in the stadium-network battleground. From a big-picture view, you can never be too thin, too rich or have too much networking intellectual property. And the billion-dollar-buy (all cash!) is a sign that Cisco, the biggest player at the table, isn’t hesitant about trying to buy a winning hand. While we here at Mobile Sports Report have been concentrating on the deployment of stadium Wi-Fi networks, it’s clear that as a whole the greater public Wi-Fi market, of which stadiums are a part, is set to get bigger, faster. This weekend’s big cash events are just the start.